The year 2018 was notable for the University community in many respects, from academics and the arts to research and sports. Culling the year down into a few highlights isn’t easy, but we’ve given it the old college try. Read on to see the many accomplishments of your alma mater. U-M student Lauren Schandevel launches “Being Not-Rich at UM,” a guide for low-income students to navigate the escalating costs of college. The crowdsourced document offers advice on everything from finding food assistance to commuting to campus from cheaper surrounding cities. It also spawns similar guides at Carleton College, the University of Texas, and other colleges and universities. The Shib Sibs—former U-M students Alex and Maia Shibutani—win a bronze medal in ice dancing at the Olympics in Pyeongchang, South Korea. It is their second medal, following their team bronze medal earlier in the games. 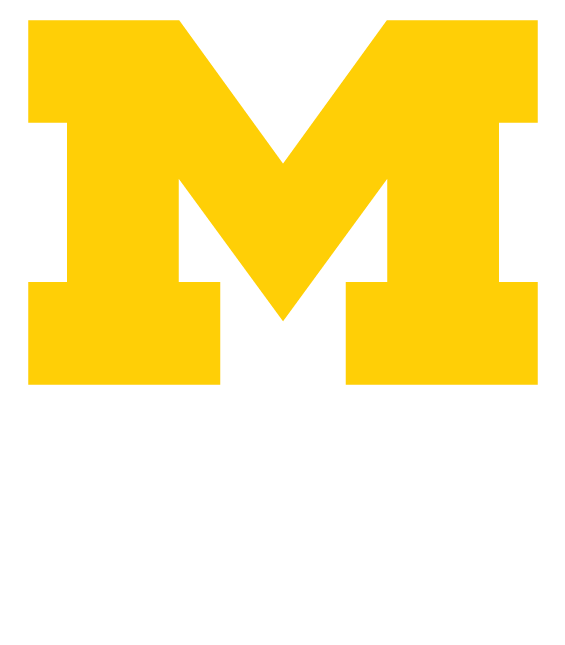 The Wolverines sweep Iowa, Nebraska, Michigan State, and Purdue the weekend of March 1-4 to claim a second consecutive Big Ten Conference Men’s Basketball Tournament title. The team goes on to the finals of the NCAA Men’s Basketball Championship but loses in a heartbreaker to Villanova, 62-79. Coach John Beilein signs a contract extension in July through the 2022-23 season and leads the team to a winning start in the 2018-19 season. The U-M board of regents vote to change the names of two campus buildings. The C.C. Little Science Building, now known as 1100 North University (pictured), was named for the former U-M president who led a eugenics campaign that called for immigration restriction, laws against interracial marriage, and the sterilization of the “unfit.” The name of Alexander Winchell, who wrote a racist book titled “Preadamites: Or, a Demonstration of the Existence of Men before Adam,” was stripped from a portion of the West Quad residence hall. The Michigan Union closes for a two-year, $85.2 million renovation. For most of 2018, the building is surrounded by fencing as workers progress toward the goal to “restore and reactivate the Michigan Union while maintaining its historic fabric.” The projected re-opening is winter 2020. A pair of driverless shuttles start tooling around a 1-mile route on North Campus. The 11-passenger shuttles look a little like cartoon cars but collect important data for Mcity—Michigan’s center for the study of future mobility. Soccer returns to the Big House for the third time in five years. As part of the 2018 International Champions Cup, Manchester United faces Liverpool. A crowd of 101,254 watches Liverpool outscore Manchester, 4-1. On the first day of the fall semester, students return to campus and the brand new Biological Sciences Building. Located on the former site of North Hall, the $261 million, 312,000-square-foot building is home to several LSA departments and will also house the U-M Museum of Natural History next year. Wireless internet access on the Diag is official as campus leaders hold a ribbon-cutting ceremony on the steps of the Hatcher Graduate Library. U-M President Mark Schlissel credits multiple generations of members of the Central Student Government for completion of the Wi-Fi project. U-M President Mark Schlissel’s contract is extended another five years following a vote by the board of regents. The board commends Schlissel, currently in the fifth year of his first term, for the University’s accomplishments in academics, the health system, and research funding as well as the implementation of the Go Blue Guarantee (which offers free tuition to students from families with an annual income of up to $65,000). Gérard Mourou, U-M emeritus professor of physics, is honored with the Nobel Prize for his “groundbreaking inventions in the field of laser physics.” These inventions have made it possible for a precise laser to replace a scalpel, making eye surgery significantly safer. He takes his place among other U-M faculty and alumni who are Nobel laureates. The University announces a new record of startups launched: 21 in fiscal year 2018 (which ended June 30). U-M inventors went to market with an array of discoveries, from autonomous shuttles to a post-surgery warning system that alerts doctors to patient distress well ahead of traditional methods. Voters elect U-M alumni in numerous offices across the country, including seats in the U.S. Congress. In addition, Garlin Gilchrist II, ’05, makes history as the first African-American elected lieutenant governor of Michigan. U-M ends its capital campaign, having raised more than $5 billion (a record for a public university) and supporting its three priority areas: student support, engaged learning, and bold ideas. I’ve Got My Business Cards. Now What?